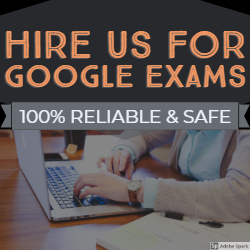 Google Display Advertising Exam Questions and Answers with Explanations and Referral URLs For Practicing Purpose and To Earn Knowledge from Verified Source. Display Assessment Exam Answers Recently updated on 12 February 2019. Haley’s client wants to drive sales of her new cookboook that’s about gluten-free desserts.